Optimizing your palletizing and depalletizing efforts requires careful planning – and possibly even some Tetris skills. Boxes of all different shapes and sizes are stacked on top of one another, which makes creating the ideal layout a challenge. Pallets are used in most, if not all, supply chain operations, to efficiently move multiple goods from one location to another. However, not everyone agrees on the best way to palletize; some employ manual palletization methods and others use robotic or automatic methods. Regardless of your palletizing strategy, the goal of any supply chain operation is to ship out the most product possible. This can only be done by making the best use of the space on each individual pallet, even if it means just one more package per pallet. SICK offers a solution to optimize your palletizing and depalletizing methods so you’ll see throughput increases without an increase in freight costs. The Visionary-T is a 3D camera that provides a snapshot of a pallet so you’ll see if there are incomplete layers, misaligned objects, or validate a pallet is in the correct location. With the Visionary-T, you’ll be optimizing your palletization efforts in no time. With the camera mounted above your pallet, you’ll get a birds-eye view to check for any openings or if the pallet is full and ready to be loaded onto a truck. The Visionary-T provides you verification that a pallet has space or not, and then can direct the robot to the exact location where to place the box. Past solutions have required a camera to be installed on a conveyor or on a robot, which increases the chance for damage to the sensor. But the Visionary-T can be installed directly above the pallet and stays stationary. It also takes up less space and is more easily configurable when it is mounted above the pallet. Because you are receiving a static image of the pallet, there is no need to have additional sensors like encoders or safety sensors installed to monitor movement. Once you know if there are openings on your pallet, you can then make more precise pick and place operations by knowing exactly where there are openings to place more goods. You can then tell a robot where it should exactly place the package, based on the 3D snapshot. This saves you time and money as you no longer need to have a robot scanning from top to bottom until it finds an opening. As stated before, supply chain operations are looking to load as much as possible on the pallets to get more pieces out per day without additional freight costs. The Visionary-T helps supply chain operations palletize smarter by making the most out of existing pallet space. Pallets get built and unpacked faster, resulting in increased throughputs and decreased costs. In addition to loading and unpacking pallets faster, you can also use the Visionary-T to detect pallet availability. 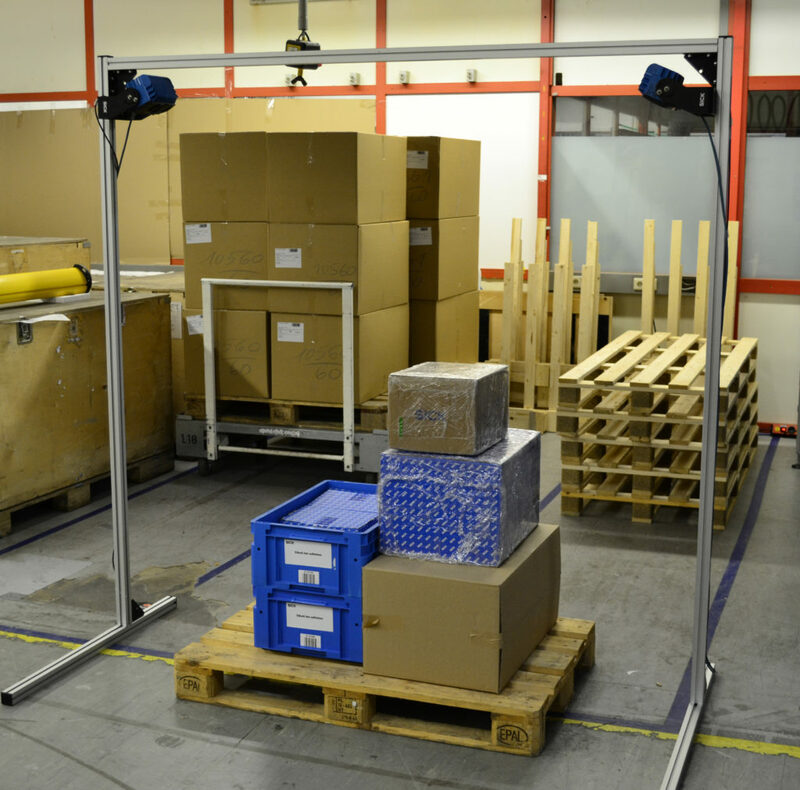 The 3D camera is able to detect if there is no pallet available, if the pallet is there but empty, if there is more than one pallet stacked on top of one another, and even the orientation of the pallet. This means you’ll spend less time on the floor having to verify these small details. 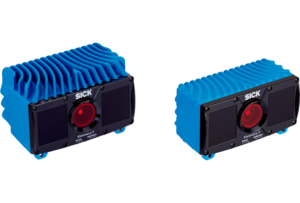 SICK’s Visionary-T 3D camera provides a solution to optimize palletization/depalletization for your logistics operation – and no Tetris experience is required.